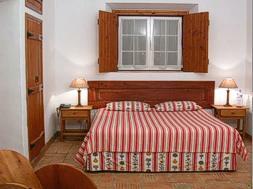 Accommodation in Herdade do Touril de Baixo. Near the delightful, small town of Zambujeira do Mar, Herdade do Touril fields covers nearly 365 hectares with the western boundary being the sea. It is within the Costa Vicentina Natural Park is still unknown among the majority of tourists who stay on the southern Algarve beaches.. The Alentejo is very famous for its gastronomy, pleasant climate on the coast and vast plains but remains undiscovered. The peace of the rural location is only interrupted by birds singing or cattle passing nearby although there may be the noise of an occasional tractor working in the fields. The view from the house and pool is over the surrounding fields. The farm has been in the same family for five generations and nowadays the farming activity is based on other houses in the fields. 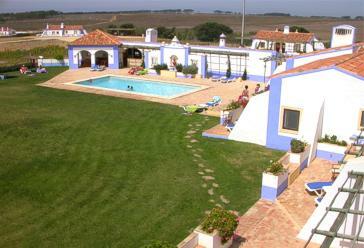 Approximately four hundred metres from the farmhouse there is a quiet sandy beach called Praia do Tonel. It can be reached by a track over the fields however it is a scramble down to the beach. The less agile might prefer the Alteirinhos, Carvalhal, Almograve and Malhao beaches, which are reached by a short car journey. 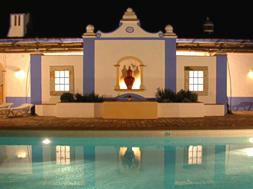 Herdade do Touril has nine bedrooms, all with ensuite bathroom, telephone, TV and a private terrace with sun loungers. Five bedrooms are in the main house have central heating and heater towel rail and are suitable for winter use. Three rooms are in an annex and have a private entrance from outside. A separate farmhouse is a few metres from the main house which has four bedrooms, with intercommunicating doors between two rooms. In the main house is the breakfast room, a games room and a beautifully decorated living room with Cable television, DVD, hi-fi and a fireplace. All rooms are well decorated with traditional furniture and beautiful handicrafts. A feature is an old oven used for making bread. The owners have put a lot of taste on some details, giving Herdade do Touril a charming and cosy atmosphere. The outdoor salt water swimming pool is 15 by 8 metres with a depth from 1,1 to 2,5 metres. There are two spacious changing rooms nearby and a small bar. There is also a small kitchen and the staff will prepare light meals and snacks on request. 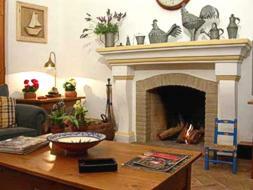 In the property there are also three cottages available for rental.